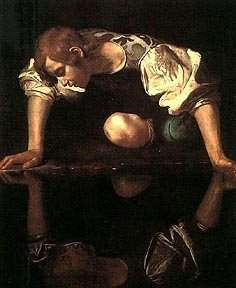 He apparently loved his own image so much that he was captured by it, forever gazing at his own reflection in a pool of water. Whether they recognize this or not, Narcissus seems to be one of the most popular characters for members of our society to model. There is a great deal of "what's in it for me" attitude found in both men and women. Although apparently, such an approach to life is already so common in modern women that few people even find it remarkable, these days. Women are so often self-centered and vain that our society actually caters to it, and uses it as a marketing approach. It is becoming more and more common among men as well. It would almost seem as if sacrifice and altruism are a vanishing art.